A healthy diet should consist of 60% alkalising foods. Alkaline foods are needed to maintain good health. The diet should consist of 60% alkaline foods and 40% acidic foods. 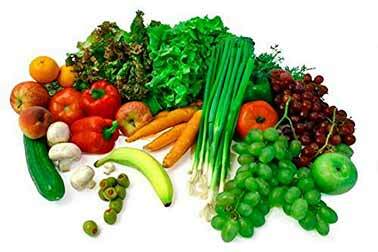 To restore health, the diet should consist of 80% alkalising foods and 20% acidic foods. 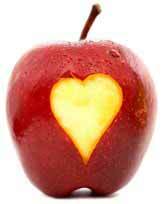 See Alkaline Diet for more detailed information. Remember...it's not the actual pH of the food itself that concerns us, but rather the affect it has on the body when metabolised. Alfalfa; Barley Grass; Beet Greens; Beets; Broccoli; Cabbage; Carrot; Cauliflower; Celery; Chard; Greens; Chlorella; Collard; Greens; Cucumber; Dandelions; Dulce; Edible; Flowers; Eggplant; Fermented; Veggies; Garlic; Green; Beans; Kale; Kohlrabi; Lettuce; Mushrooms; Mustard; Greens; Nightshade; Veggies; Onions; Parsnips; Peas; Peppers; Pumpkin; Radishes; Rutabaga; Sea; Veggies; Green Spinach; Spirulina; Sprouts; Sweet Potatoes; Tomatoes; Watercress; Wheat Grass; Wild Greens. Daikon; Dandelion Root; Kombu; Maitake; Nori; Reishi; Shitake; Umeboshi; Wakame. Apple; Apricot; Avocado; Banana; Berries; Blackberries; Cantaloupe; Sour Cherries; Fresh Coconut; Currants; Dates; Dried Figs; Dried Grapes; Grapefruit; Honeydew Melon; Lemon; Lime; Muskmelons; Nectarine; Orange; Peach; Pear; Pineapple; Raisins; Raspberries; Rhubarb; Strawberries; Tangerine; Tomato; Tropical Fruits; Umeboshi; Plums; Watermelon. Almonds; Chestnuts; Millet; Tempeh (fermented); Tofu (fermented); Whey Protein Powder. Chili; Pepper; Cinnamon; Curry; Ginger; Herbs (all); Miso; Mustard; Sea Salt; Tamari. Apple Cider Vinegar; Bee Pollen; Fresh Fruit Juice; Green Juices; Lecithin Granules; Mineral Water; Blackstrap Molasses; Probiotic Cultures; Soured Dairy Products; Veggie Juices. Calcium: pH 12; Cesium: pH 14; Magnesium: pH 9; Potassium: pH 14; Sodium: pH 14. Consider the other Health Secrets.